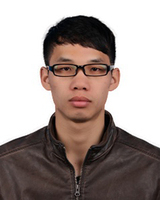 Huaxian Wei is currently a Lecturer in Department of Mechatronic Engineering, College of Engineering, Shantou University. He received his PhD degree in China University of Mining and Technology. He was a visiting PhD student in the Robotics and Mechatronics Research Laboratory (RMRL), Department of Mechanical and Aerospace Engineering, Monash University. His main research interests include: flexure-based nano-manipulators, mechatronics and additive manufacturing.